Rafa Nadal defeated No. 7 seed Tomas Berdych 6-2, 3-6, 6-3 in the quarter-finals of the Sony Ericsson Open Thursday night. Nadal and Federer have met just twice before in the United States, with those meetings also coming in Miami. Then just 17, Nadal stunned Federer in straight sets in the third round in 2004 before Federer had his revenge in the final one year later, when the Swiss rallied from two sets down to win the first of his two Sony Ericsson Opens. Nadal’s victory also pits the Spaniard and Federer against each other in the semi-final stage of a regulation draw for the first time since the 2005 French Open, when Nadal defeated the Swiss in four sets en route to his first major title. “Very few times we’ve played in the semi-finals of a tournament. The rest of the matches are finals and important for big titles,” said Nadal. Receiving a medical timeout to address the injury, Nadal continued to grind through the rest of the encounter before coming away with his ninth straight victory over the Czech. “I think is nothing important for sure, no? I felt like the nerve was inflamed so he felt like it was a little bit heavy like in this area and he got dizziness,” said Nadal. “You know, I did a little bit of treatment now after the match, and I going to do it more tonight when I arrive to the hotel. For sure it’s nothing important. The most important thing is the right arm, so when it happen new, it’s something if you don’t know what’s going on you lose the concentration thinking about the arm. “But happen tomorrow it’s not going to be nothing new. Going to be easier to manage the situation. So I am sure that the arm is not going to affect the match. 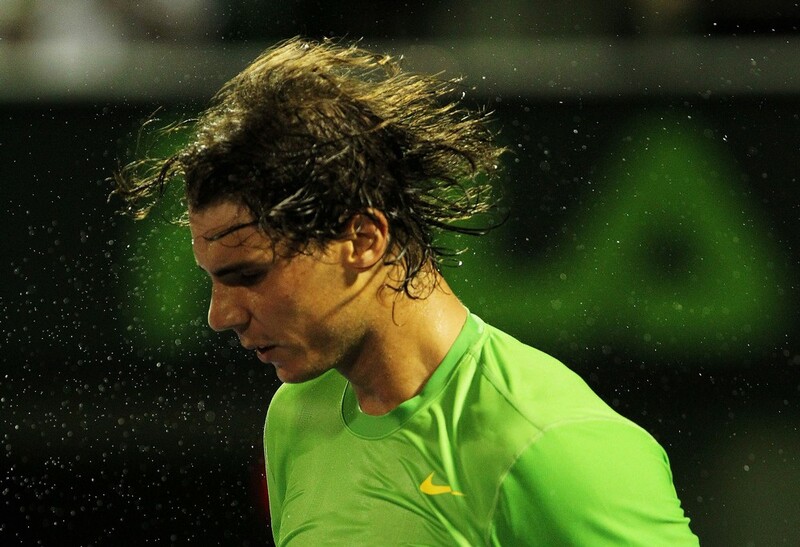 Having never had this sort of an injury on Tour, Nadal confessed that he was initially worried about the outcome.